A friend told me that one of her friends was looking for people’s favorite sweet potato pie recipe, and asked if I could share mine. 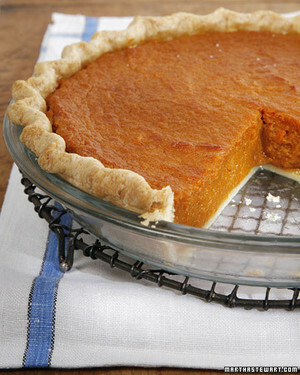 The problem for me is that sweet potato pie is one of those things I learned how to make my helping one of my great-grandmothers and one thing all three of them had in common is that measuring cups were at best guidelines. They eyeballed a lot of ingredients in recipes and then adjusted as they went along. So when I make one of those recipes I tend to do it the same way. If I make biscuits from scratch, for instance, I pour some flour and butter and salt and milk (buttermilk if I have it) together and start kneading—then, depending on the texture I might add more flour, or more butter, or more milk and so on until it feels right (you add the baking powder last so it doesn’t start doing its think while you’re still mixing). So, I’m going to describe how I make it, taking my best guess as to the relative quantities of the ingredients. 1. Lightly rinse the sweet potatoes, then put them in a large pot with enough water to fully immerse them. Add a pinch of salt to the water and put over medium heat. Let it come to a boil, then let it boil for at least 20 minutes. Test for doneness by sticking a fork in one of the sweet potatoes. Try to push it in the full length of the tines. If the fork goes in real easy, they’re done. If it goes in a little ways easy then you feel resistance, let it keep boiling another 10 minutes, then check again. 2. Once they are done, turn off the burner and position a colander in the sink. Pour the pot out through the colander. While the potatoes are still hot turn on the cold water. Let the cold hit one of the potatoes for no more than half a minute, then move the faucet over so the water is still flowing, but not flowing on the potatoes. Pick the partially cooled one up and put it and your hands immediately under the cold water. Now start rubbing with your thumbs. The skin (and a thin, slightly darker colored layer of the potato) will simply rub off. This is infinitely easier than trying to peel them before you boil them, I assure you. Drop the peeled potato into a large mixing bowl. Pick up the second potato and do it again. 3. This is usually when I turn on the oven so it will be preheated by the time we are done with the rest. 4. With a potato masher, start mushing the potatoes. Pour in the evaporated milk, mash/stir some more, then the butter, then the sugar, then the molasses and spices. 5. Note that I have listed variable amounts of vanilla and molasses. Unfortunately, this is one of those places where I adjust. What I do at this point, is pour in (eyeballing it, not measuring) a little bit of molasses, then mix, and once it’s mixed in, if the color isn’t right, I add more. Similarly with the vanilla, I pour in about a teaspoon, then stir it around, and if it smells right, I don’t add more, but if not, I add more. So I will suggest that you add a bit of molasses and vanilla, stir it in, and take a taste. If it tastes like sweet pie filling, then you’re good. If you think you want a little more of the molasses bite, add some. If you want more of the vanilla mellowness, add some. 6. Now, the eggs. If you’re using actual eggs, crack two of them and dump them into the filling. Then crack the third and separate the yolk from the white, and add the third yolk to the pie. Put the third egg white in a small container for later. The white will be used with the crust in a minute. If you’re using egg beaters or packages egg whites, measure out whatever they say is the equivalent of two eggs and put that the filling, then stir up. 7. Once all of those ingredients are in, set the filling aside for a few minutes to breathe. I honestly don’t know if the filling actually breathes, but that’s what Great-grandma said is happening. 8. The oven should be pre-heated by now. I usually just buy frozen pie crusts. I used to always make my own crusts from scratch (another recipe I learned from my grandmas), but honestly, I can’t taste the difference, so I don’t do that any more. Whether you made the crust yourself or are using frozen, coat the crust in its pan with the egg white reserved back at step 6 using a pastry brush (or just more eggbeaters/white from the package). With a fork, punch a bunch of holes in the bottom of the crust (if you’re using one of those aluminum pans, don’t poke through the foil!). Stick the crust in the oven for at least five minutes. You want it to dry out a little, but not to fully cook, yet. 9. Take the dried crust out of the oven, pour in the pie filling. you may have too much from your crust/pan, depending on the size of the potatoes. I like to put the excess in ramkins and cook them separately as little tarts. 10. Put the pie into the oven and cook for at least 2 hours. Check for doneness by sticking a tooth pick in. If the toothpick come clean, it’s done. If you see any of the filling clinging to the toothpick let it bake some more. I usually check at 15 minute intervals starting at the 2 hour mark. Once it’s done, let it cool. Later, serve with whipped cream. Lots, and lots of whipped cream. I use a whole lot more ginger when I make pear & ginger pie.